Dundee had Stephen O'Donnell out suspended from last week's game at Raith Rovers. With Kyle Benedictus and Neil McGregor keeping their places. Dundee started slowly with Falkirk being the better side but they did not trouble Rab Douglas much. As the first half went on Dundee took control of the midfield. 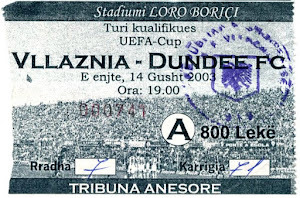 But with a minute to go Dundee took the lead a fine ball put Nicky Riley clear and his shot was pushed out by the bairns keeper to fall kindly to Savo Milne to sweep the ball home from 12 yards. Second half and on Dundee's first attack it should have been 2-0 when Graham Bayne some how hit the woodwork from close in. Now Dundee were playing some fine passing football and they pushed Falkirk back. A neat move put Nicky Riley through but the keeper made a fine save. Then a Neil McGregor header was cleared off the line. Then out of nothing a long hopeful ball fell to Weatherstone who shot past Douglas via a post, worse was to follow and the bairns grapped what proved to be the winner El Allagui scored with a header, in the build up it did look like Rab Douglas was fouled. Dundee did have a late chance but the Falkirk keeper saved well from McGregor's shot. A good game but 3 points dropped as Dundee had enough chances to finish the hosts off long before the end. 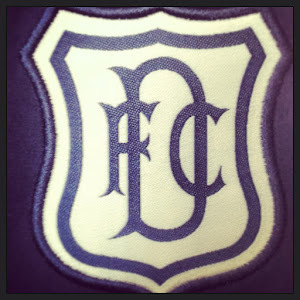 Dundee: Douglas, Benedictis, McKeown, McGregor (Weston 85), Lockwood, Riley, Irvine, Chisholm (McCluskey 88), Conroy, Bayne, Milne. Subs Not Used: Gibson, Hyde, McIntosh.